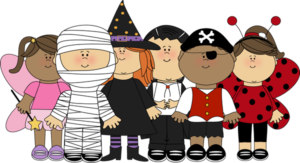 The Halloween Parade will take place tomorrow, Thursday the 27th – rain or shine. We plan to parade out into the parking lot, but will make a day-of decision to move inside if it’s too cold or wet. Parents: drop off your children with their costume in a labeled bag (leave special accessories at home). Please keep the parking lot clear and park on an adjacent street. Today, our “Cat in the Hat” (a.k.a. 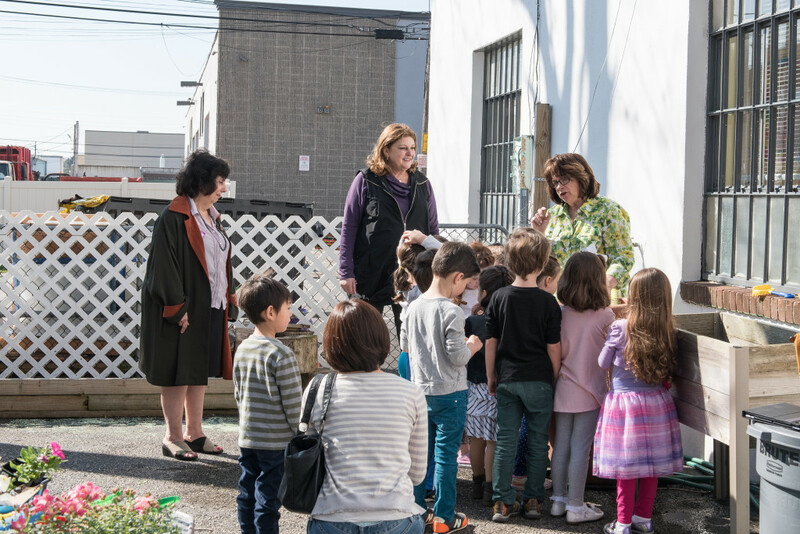 Mrs. Mucci) visited the classrooms and the children were delighted. 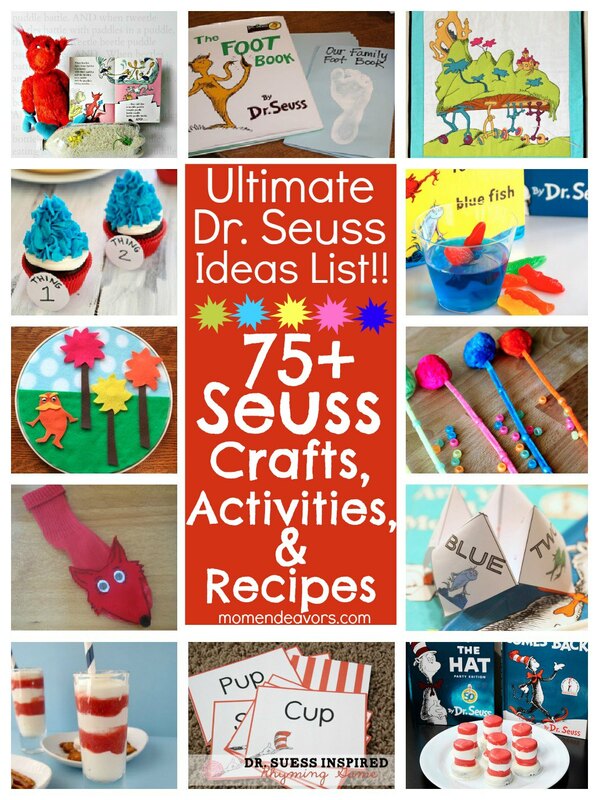 75+ Dr. Seuss Crafts, Activities, and Fun Foods! 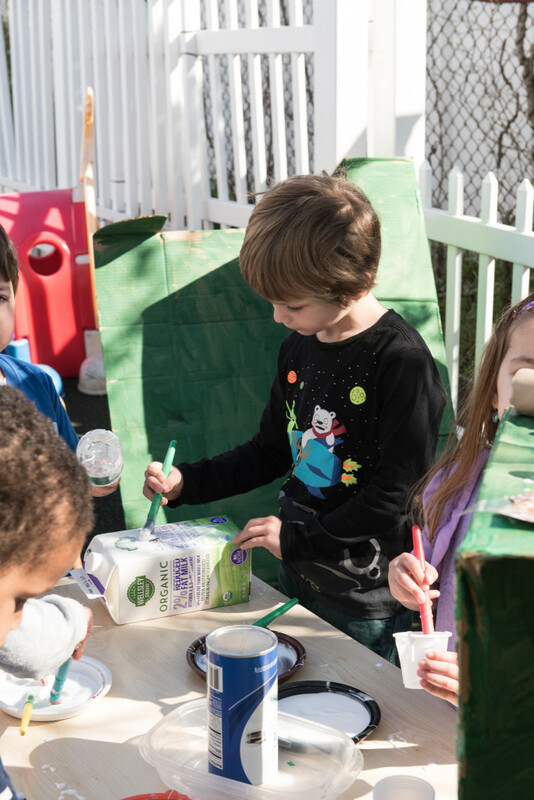 With the birthday of Dr. Seuss & National Reading Month, it’s the perfect time to share some awesome Dr. Seuss-inspired crafts, activities, and fun food recipes! There are SO many fun Seusstastic ideas out there and I’ve rounded up the best of the best! Now that the frenzy of costumes and candy surrounding Halloween is over, we turn our attention to Thanksgiving and the importance of gratitude. This month we will do lots of great crafts and gather food for a local food pantry. Here’s a great activity you can do at home! 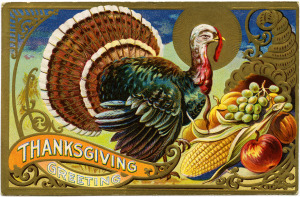 Many families use Thanksgiving as an opportunity to teach children about gratitude. A sense of gratitude, or feeling thankful and appreciative of the good things in one’s life, is an important social-emotional skill that can increase happiness and improve health. This is a wonderful list of books about Thanksgiving and gratitude that you can share with your preschoolers at home. Thanksgiving is a perfect time to start teaching your little ones about gratitude and being thankful. One of the best ways I have found to teach this concept is by reading books about thankfulness. Here is a collection of the 10 best Thanksgiving books focused on gratitude that will appeal to toddlers and preschoolers! 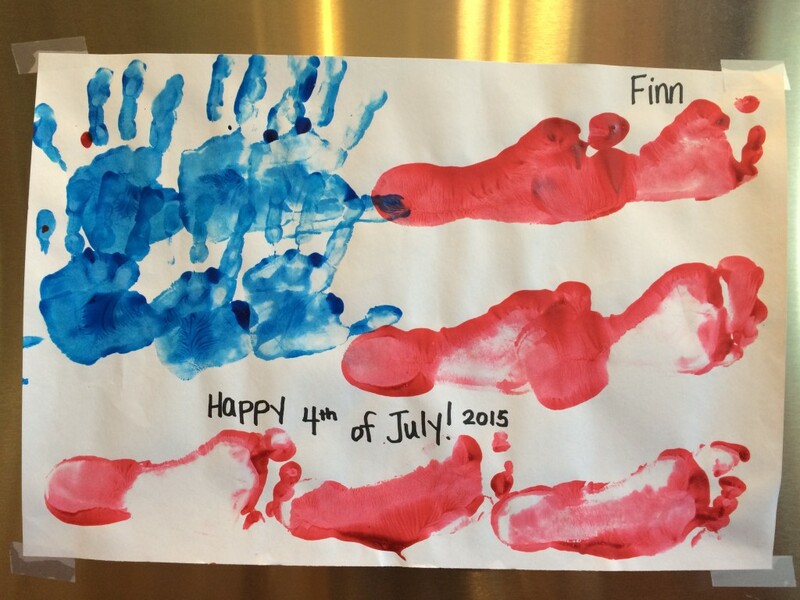 Enjoy and have a fun and safe holiday! 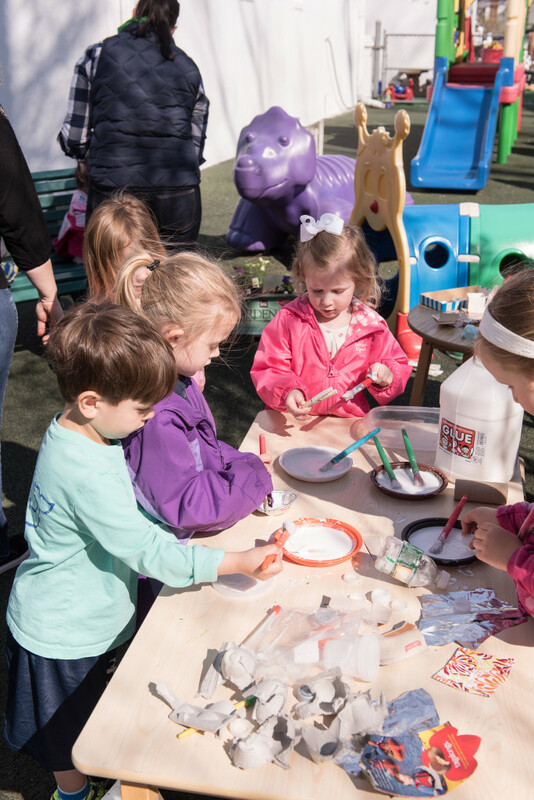 We are so excited for FAMILY FUN DAY on Sunday! All 3 year olds are invited to come from 10-11 AM, and all 4 year olds are invited to come from 11-12. We have lots of fun activities planned! Please remember to send in your RSVP so we have an accurate headcount. 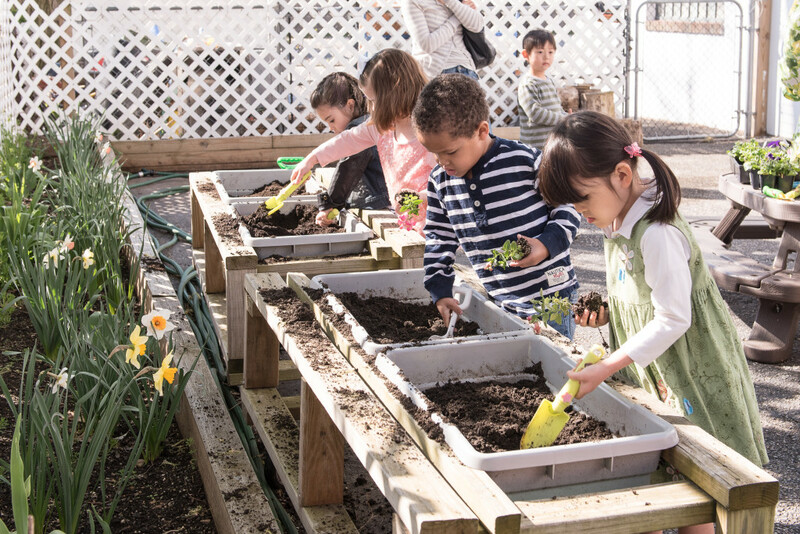 All children must be accompanied by an adult who is responsible for them. 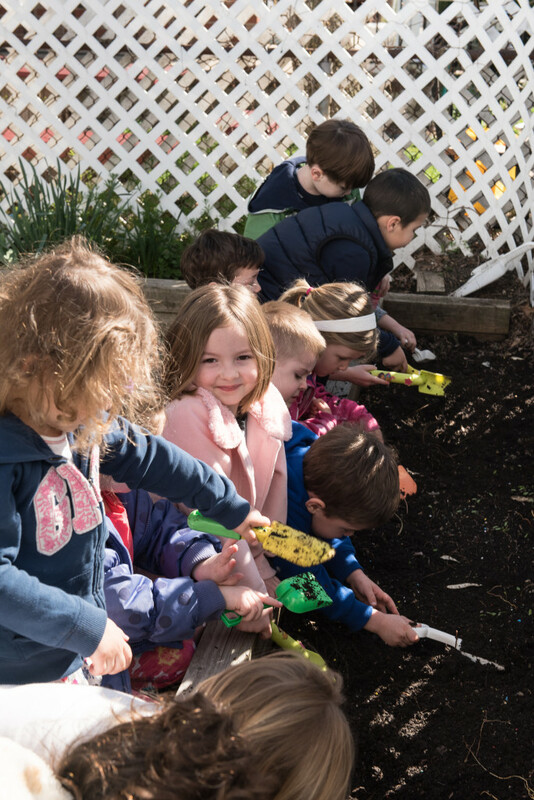 We had a wonderful Earth Day celebration at Friends Together Nursery! 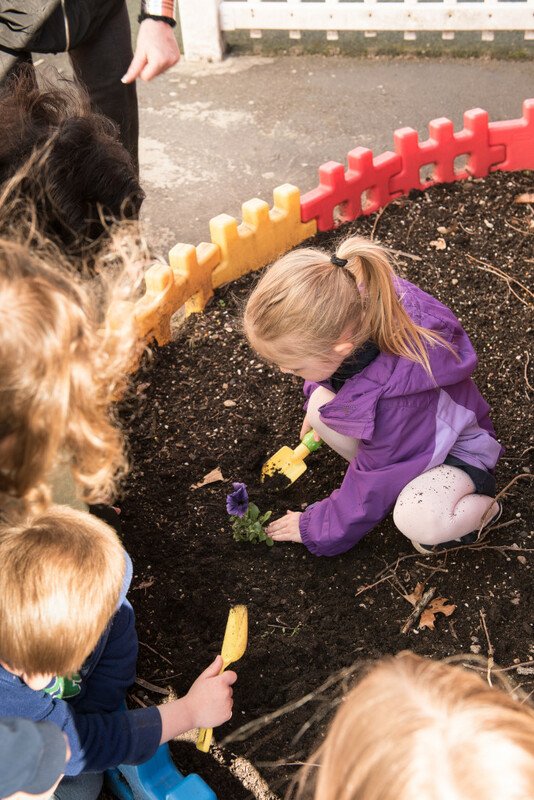 The children made a collaborative art project from recycled materials and planted flowers to beautify our garden. 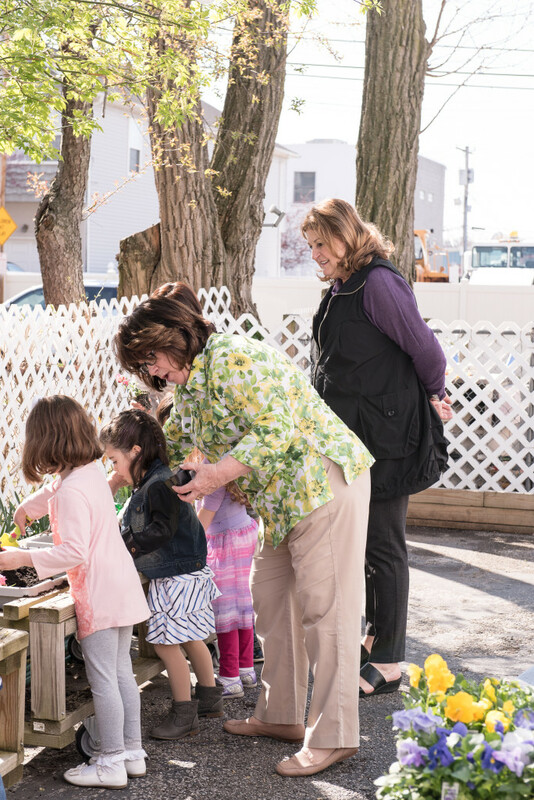 We were honored that Manorhaven’s Deputy Mayor Lucretia Steele and Village Clerk Leslie Gross were able to join the festivities! At this time of year, we collect food donations to brighten another family’s Thanksgiving celebration. Please bring in your food contributions by Tuesday, November 25th. Later that day, we will bring them to the food pantry at Saint Peter of Alcantara. Thank you for your generosity! Happy Thanksgiving! 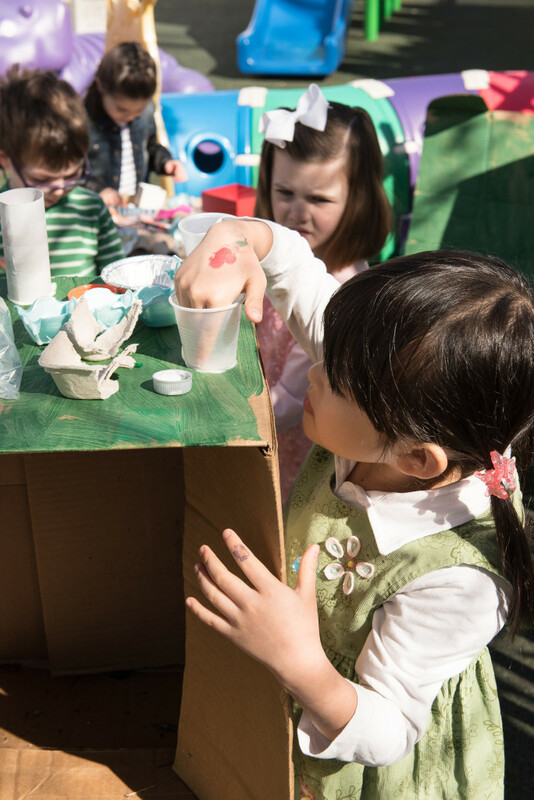 We are so excited to host our annual end-of-the-year Family Fun Day on Sunday May 18. Come and enjoy an Art Raffle, Refreshments, Face Painting, a SURPRISE RAFFLE, caricatures, and a very special interactive musical performance for all the children; there will be 2 performances so that both the 3’s and the 4’s may enjoy this special treat. 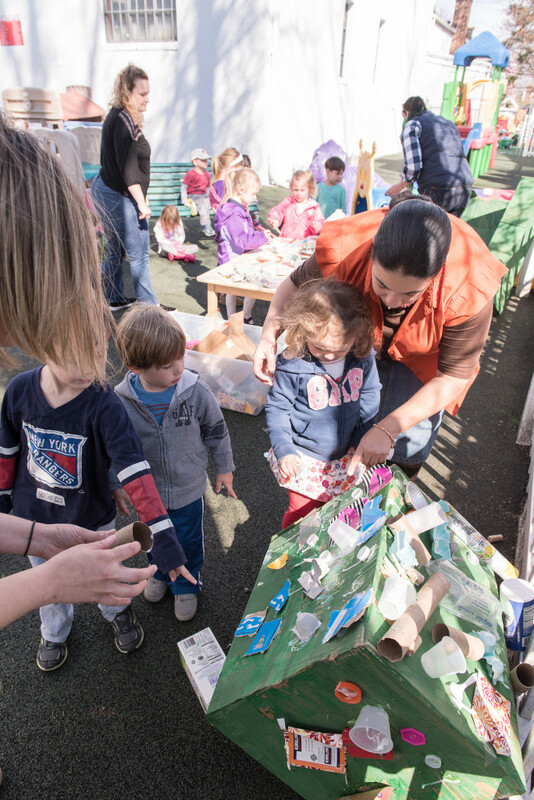 Friends Together Nursery has again invited well-known cartoonist, Lou Puglesi, our Wednesday in residence Artist, to join in our Family Fun Day. Lou will be drawing colored caricature portraits of our children during Family Fun Day. Each portrait takes a few moments and costs $15.00 – Mat Framed. Your child may choose what he/she will be doing in the picture (Sports, Ballet, Etc.). There are a limited number of portraits which can be completed during our time together on Family Fun Day. If you would like your child to be drawn that day please send a check for $15.00 payable to “Friends Together Nursery”. Download the Caricature Sign-Up Form and send in payment in your child’s backpack. Note: Every child in attendance, either enrolled in our school or family member MUST be accompanied by an adult who is responsible for them. Please RSVP on our Evite. If you did not receive it by email, please click this link! 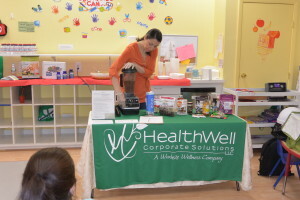 Those who attended our Mom’s Healthy Happy Hour were treated to some delicious smoothies and snacks thanks to Sandra Telesmanic of HeathWell Corporate Solutions. They are kind enough to share these recipes with us so we can make them at home! Have you tried quinoa? This protein-rich super food is a nutritional powerhouse. Quinoa contains more vitamins, nutrients, and antioxidants than any other grain. 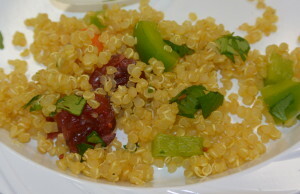 We tried the HW Cranberry Cilantro Quinoa Salad (pictured above) and it was fantastic! For another take on quinoa, the HW Roasted Quinoa Salad recipe combines quinoa with roasted vegetables. This smoothie is packed with antioxidants and appeals to even the most skeptical taste testers (our kids!). It’s Quick and Packed with Nutrition. Place ingredients in a high-speed blender in the order above. Add several ice cubes if you want the smoothie very cold. Use the smoothie speed or blend at high for approximately 40 seconds. Serves 2 or if you want to enjoy it all, the Delicious Purplicious will keep you going with plenty of good, complex carbs. Interested in some other smoothie recipes? Try these two delicious ones! 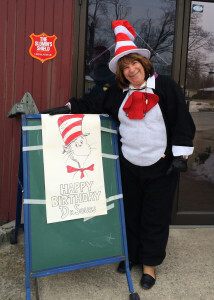 This week, we are celebrating Dr. Seuss, in honor of his birthday. You can see that we’re all in the spirit! Looking for ways to celebrate at home? The Seussville website has great ideas, including these great Tips for Reading with your Children. 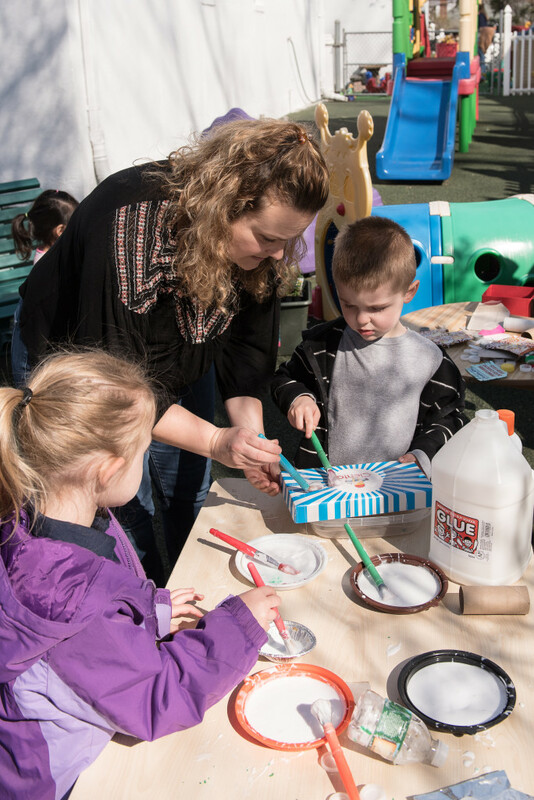 There are many some crafts and activities you can do to celebrate Dr. Seuss with your preschooler – the website Mom Endeavors has put together a great list worth checking out.